The iGEM community page lets you see what some of your fellow iGEM Teams are up to. If you want to add something to this page, send us an email to hq (at) igem . org and we'll add it! Team Calgary made this video to show "the life of a iGEM Style undergraduate scientist." Check it out! Check out the video from Team UC Chile! It is [a] "fresh perspective: a first timer team's point of view of SynBio and iGEM by UC Chile." Team Queens Canada says: "This is a short trailer that we made about our project and what you can expect to see from us at this year's Regional Jamboree!" "This year, the uOttawa iGEM Team produced a full-length documentary entitled "The Nature of Synthetic Biology". The video discusses the definition of a synthetic organism, the potential dangers of introduction of synthetic organisms into the environment, and the ways in which synthetic biology should be regulated. Our documentary is designed to disseminate the key concepts and issues concerning synthetic biology to the general public, and is posted on YouTube to facilitate world-wide access. You are invited to view our documentary trailer here!" "During this year's iGEM competition, we were involved in the making of a informational video in cooperation with several other iGEM teams around the world. Very early on it was decided that the product of our labor should be focused on the ethical aspects of synthetic biology but also teach the public about iGEM and synthetic biology in general. "Do you believe in true love and want to know more about RNA Scaffold? Check out an awesome musical comic video from ZJU-China team! Enjoy the romantic love story of Syn & Bio!" Follow along at their Facebook group, and Twitter (@iGEMUANL)! Click here for the tour! "SocialiGEM: Everything you want in one common space. Add your photo, open a blog or a group and chat with other igemmers. SocialiGEM is the easiest way to share information and to keep in touch with other igemmers. Sign in and help Team Trieste to improve it!!" "Hi, we are Team METU. After several ideas and shootings and several disappointments with our team video, we thought why so serious, we have tons of funny clips we shot for ourselves. So with the aid of a small camera and this years funny and catchy songs, we edited our small funny video clips to show the iGEM community our fun team and share our fun in the lab with all of you." 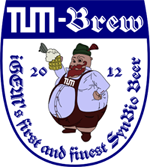 "We are this year's iGEM team from the TU München. Within our team and also in discussions with other iGEM teams during the last years we came across a potential point for improvement: Standardization of BioBrick part descriptions. To achieve the best output for all of us we appreciate your input and feedback. In addition we will provide you with a small present for the collaboration page of your wiki and we will raffle a typical Bavarian present among all teams completing the following survey: www.surveymonkey.com/s/B8LZNXQ. If you have any questions, do not hesitate to contact us under igem (at) wzw.tum.de." "Sharing and learning from each other is one of the most important features of the iGEM competition, in that any lack of experience could be well ameliorated by studying the projects and the way of presenting them of other and/or previous teams. We managed to introduce you some representative projects from different perspective. And we hope this collection might help iGEMers with their projects and presentations." Check out their video review! "As an emerging field, Synthetic Biology calls for more lively and intelligent young minds to generate ideas with great potentials. This summer, Peking2012 iGEM team has done a great job to motivate high school students to study Synthetic Biology and to guide them toward future participation in iGEM competition." Please allow me to introduce myself. I am a research associate working with Drew Endy to investigate and develop options for how property rights can best be applied and adapted to support innovation in synthetic biology. As part of my work, I would like to assemble a baseline list of the "enabling technologies" of synthetic biology. This would be a helpful first step in evaluating the background property rights status for the technologies that are considered most useful/valuable for research and development of synthetic biology applications. I ask that you please complete this survey to help define the enabling technologies of synthetic biology. The survey should take no more than 10 minutes to complete - just answer the questions based on your own experience and perspective. Answers received by September 15th would be most helpful. EVERYONE WHO SENDS IN A RESPONSE WITH THEIR EMAIL ADDRESS WILL RECEIVE A SUMMARY OF THE RESULTS. Thank you in advance for your time and consideration. Please don't hesitate to call or email with any questions, or even just to chat about enabling technologies in synthetic biology. "We here at Dundee University have re-written a popular Billy Joel anthem to celebrate the ecstasy of successful cloning, and the agony of when it all goes wrong. We think all other participants can relate to this tale." Team Tec-Monterrey says: "Hello! We are Team Tec-Monterrey from Monterrey, México. We have been working really hard all summer but also having loads of fun. In this video you take a glance at a normal day at our lab. Don't forget to visit our wiki for more fun stuff." Team Paris Bettencourt made a video introducing their project for this year! For more information about their project, check out their wiki! "The Boston University iGEM team would like to invite you to participate in the first ever New England iGEM (NEGEM) meeting in Boston on Saturday, September 15th. We thought it would be a great opportunity for the New England regional teams to meet one another and practice presenting before the Regional Jamboree in October so students and advisers can give the teams feedback and the teams will have time to improve their presentations before October. We'll happily welcome other teams from the North East outside of New England if you want to travel to Boston for the day. We hope to see you in September! For more information, please contact Traci Haddock (thaddock at bu dot edu), the BU Team Adviser." "#gemFM is University College London's iGEM radio show. Their aim is to raise awareness of the breadth of projects synthetic biology offers, and offer a platform for iGEM teams to share their project and reflect on the competition. Each episode features an in-depth conversation with a team and an expert interview." Team UT-Tokyo-Software created a BioBrick search program! "'BioBrick Search' by UT-Tokyo-Software is a web application for searching BioBrick parts that everyone can easily use on web browser. Search results are sorted by criteria such as relevance to your input, popularity and reliability to ensure you get the BioBrick you want faster than ever. Please try it out!" Team NYMU-Taipei is hosting a team meet-up on August 15th and says: "After devoting ourselves to amazing ideas for half of the summer vacation, it is high time for us to share the inspiration, excitement and initial results. On August 15th, let's huddle, dear iGEMers. Let dreams from synthetic biology tie all of us together." Check out their schedule and video! Team UANL_Mty-Mexico are continuing their blog from last year and they've updated their iGEM History database! Check it out, and read their posts on iGEM and synthetic biology. Team Stanford-Brown created a Facebook page for iGEM memes, and says: "You know who you are. You revel in minipreps, ligations, and gel extractions. You toil with biobricks. Share your stories here. Be Great [and submit your memes to igemmemes@gmail.com]." Team NTNU Trondheim says: "The iGEM matchmaker [website] makes it possible for teams to share their strengths and what they would like help with, making it easy to get in touch with other teams." Team Edinburgh created a video that describes their goals and project! Meet the members of Team Bielefeld-Germany in this video! Team University College London made this video to explain their project!